April 30, 2013 (Ramona)- -Things haven't gotten any better at the Ramona Unified School District in the few months since we last wrote about the district's budgetary woes. Ramona is the only school district in the county to have never passed a bond measure. Last year, the district floated Proposition R, which would have raised $55 million, a chunk of which Ramona Unified could have used to pay off old loans it took out to renovate district schools in 2004. The bond failed, leaving district officials scratching their heads as to how to pay off the old debts. A few key things have happened since then, and the two sides in the dispute, the district and the local teachers union, remain far apart in their assessments of how deep Ramona Unified's financial problems go, and how they should be fixed. Let's take a look at what's happened. In December, the district was asking teachers to take a pay cut of almost 10 percent. The district had declared an impasse in labor negotiations with the Ramona Teachers Association and Superintendent Robert Graeff was playing down the district's prior borrowing. He said the repayments on the old loan accounted for just $500,000 of the estimated budget shortfall of $3.5 million shortfall. For its part, the union was blaming the district's past decisions for putting teachers in a bad spot. "Even if we worked for free, they couldn't pay off the loan, and it's not fair to ask us to work for free because they made a bad choice," Ramona Teachers Association Donna Braye-Romero told us at the time. 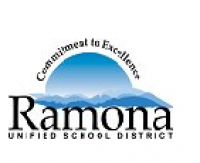 After 18 months of negotiations between the district and the union failed to produce an agreement on how to handle Ramona's deficit, the district convened a "fact-finding" panel. The panel of three representatives included one union rep, one district rep and a neutral member who served as the panel's chairperson. The panel concluded that the district's ability to continue to pay full salaries and health benefits was "unsustainable." “For all these reasons, the chair concludes that the district meets its heavy burden of proof and does have an inability to continue to pay personnel costs, including salaries and benefits, at the current level,” the panel chairwoman wrote in her final report. The two sides met once more after the report was released to try to come to an agreement. At issue, union President Donna Braye-Romero said, was both the extent of the salary and benefit cuts teachers were being asked to take and the district's insistence on an inflexible multi-year agreement. After the two sides failed to agree, the district imposed a contract on teachers that includes salary cuts, mandatory unpaid furlough days and health benefit cuts. The amount each teacher must absorb in cuts depends on his or her family situation, but the union estimates the average teacher will lose thousands of dollars a month and said the cuts are draconian and will lead to teachers losing their homes. Aside from the size of the cuts, the union also opposed the district's multi-year approach to a labor agreement. The state's education budget is in remarkable flux at the moment. After voters passed Proposition 30, there will now be a new flow of education dollars from Sacramento. But nobody really knows how much each district will end up getting. There's further confusion over Gov. Jerry Brown's proposal to radically change the way school districts are funded. For a small, rural district like Ramona, the governor's plans could have a significant effect in the next couple of years. But the governor needs to persuade the state Legislature to approve his plan, and opponents to the move are already lining up. Braye-Ramero said the union wanted the district to include "restitution" language in its agreement with teachers. That would basically mean that if more money comes in in future years, the cash goes to teachers. But the district would only agree to a clause allowing the two sides to "reopen" or renegotiate the contract if the state's finances improve, Braye-Romero said. Graeff said that sticking point was moot. "My promise is that if the budget gets better, we will if course pass along those improvements to employees," he said. "Why wouldn't we?" For now, however, Ramona teachers are bound by the contract that's been imposed on them. Their only real option now may be to strike. The Ramona Teachers Association will hold a "strike authorization vote" on May 7. The vote would essentially give union leaders approval to strike if and when they deem necessary. Braye-Romero wouldn't say whether she thinks a strike's likely. "I hope it doesn't happen," she said. "Nobody wants to go on strike." The union could conceivably reopen its negotiations with the district at any time. But that doesn't seem likely. California Teachers Association spokesman Bill Guy said Graeff appears set on breaking the union. "The superintendent is trying to bust the union," Guy said. "At our meeting, we offered to take the first-year cuts, just not all three years. They responded by saying that if we didn't accept the deal, they would impose even stricter cuts, and they did." Graeff said Guy was mistaken. "What ridiculous person would say such a thing?" he said. 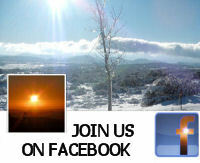 "I was a member of the CTA for 11 years as a teacher. That would be a ridiculous assertion."